New Year's Eve in the guest house. 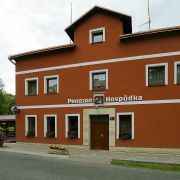 Guesthouse in a small village Ruzova, near Hrensko and Decina, on the border of the National Park Bohemian Switzerland … More » . Due to the location the house offers an ideal conditions to spend an active holiday, both for tourists and cyclists. National park offers a lot of possibilities for day trips.